Thank you, Chairman Brady. Unfortunately, today our country is in the midst of a retirement crisis. Nearly half of American private sector employees – roughly 55 million – work for an employer that does not offer a retirement plan. Most of these workers are employed by small businesses, the fastest growing segment of the economy. Too many workers in this nation reach retirement age without the savings they need. The retirement crisis in America is real and will only worsen unless we make saving easier and do more to encourage workers to begin saving for retirement earlier. As such, I certainly applaud you, Mr. Chairman, for your interest in this area. H.R. 6757 includes a number of provisions that will help Americans save for retirement. However, I plan to oppose this bill today because it’s only a drop in the ocean and is missing key bipartisan provisions that will greatly improve our retirement system. For example, I have introduced legislation that generally would require all but the smallest employers to maintain a 401(k) plan for their employees. This bill would provide an opportunity to save at work for millions of American workers. We should consider ideas like this one to address our coverage gap. I’d also be remiss if I didn’t mention that we also need to address the multiemployer pension crisis. But I’m also very disappointed that a number of key provisions from the RESA legislation – which by the way is supported by both business and AARP – are missing from today’s bill. I have three bipartisan proposals from RESA that are not included in H.R. 6757. 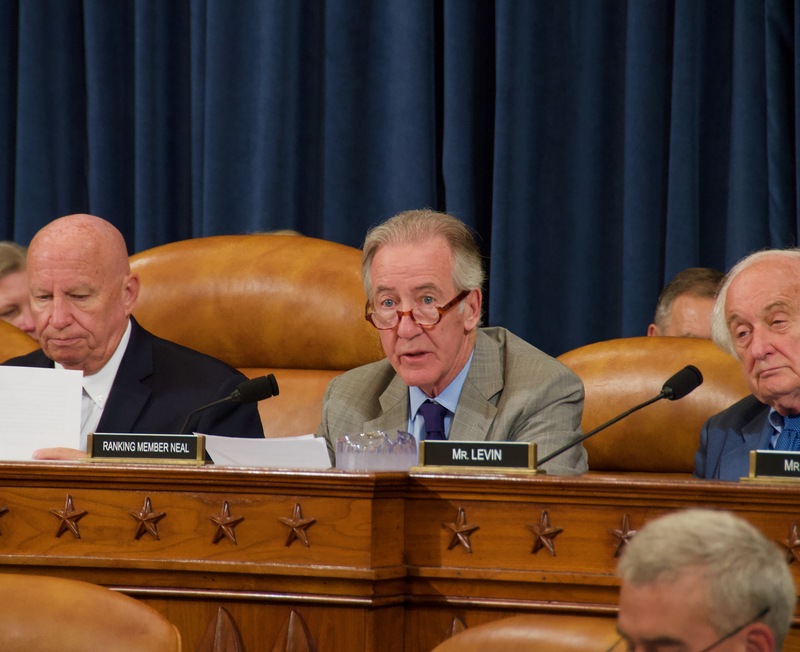 The first, which I worked on with Mr. Bishop, would create a tax credit to encourage small employers to implement automatic enrollment in their retirement plans. Automatic enrollment has had a huge impact on increasing savings. The bill also does not include two other of my bipartisan proposals – a proposal to expand retirement savings by removing the automatic enrollment safe harbor cap and an expansion of the small employer pension plan start-up credit. Today’s bill also is missing some key lifetime income proposals that would help Americans manage their assets in retirement. And it doesn’t include an important retirement provision that’s critical to the Girl Scouts, Boy Scouts and a number of religious organizations. These bipartisan proposals would do a lot to improve our retirement system and it’s a missed opportunity that they are not included in H.R. 6757 today. To address the retirement crisis, it is critical that we work together on a bipartisan basis to develop solutions to help Americans prepare for a financially secure retirement. This means Democrats and Republicans rolling up their sleeves and developing ideas together. It also means the retirement industry coming together with participant and retiree groups. Pensions have had a long history of being a bipartisan issue. Now more than ever it’s time to put politics aside and really work together to address the retirement crisis.